The Reactivitz can be considered as one of those fast-rising artists whose skills and perseverance allowed him to reach the support of the techno music industry. 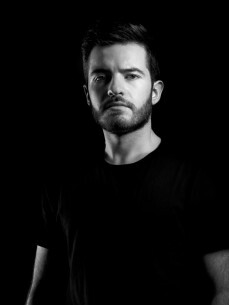 2016 was a significant year for The Reactivitz, particularly because he signed on labels such as Toolroom, Phobiq, Footwork, Transmit, 1605, Bitten, Funk’n Deep to name a few. His sound, characterized by dark atmospheres, loud drums and groovy basslines, has been highlighted by many producers worldwide. "I just want to create a different kind of techno sound, so that people can recognized me when they listen to a track of mine in a club". He had the opportunity to remix and collaborate with artists such as Jay Lumen, Spartaque, D-Unity, Durtysoxxx, Matt Minimal, Skober, Alex Di Stefano and many others. The Reactivitz's sound continues to evolve in order to elevate the underground music movement and becoming a recognized artist worldwide.